Any news on the location of the Lightpoints for the flares BIS Devs? I just want to fix the z-fighting bug. I doubt any update will fix this seeing as this bug has been around for a long time with every patch. So with all due respect can you please provide the location where the lightpoint scripts are located. after applying this patch (both A2 and A2:OA are set to "beta" branch in Steam and content verified) I have encountered that FDF mod creates a loading problem for Arma 2 OA. Whenever I launch Arma 2 OA with FDF mod enabled, my vanilla Arma 2 can't be loaded properly. The contents are missing and the "expansion list" in main menu only shows "ca". Many mods break on the recent Arma2 updates. Unless the mod is updated also you will run into issues, I would suggest requesting permission from the author of the mod to try and edit/update the parameters. I changed A2 branch to stable. No files were changed according to Steam, so the branches seem to be identical. The original problem still persists. If there are no mods, I can launch A2:OA, and it will detect A2, BAF, ACR and PMC content with no problem. However once I add FDF mod, the A2 content gets screwed up. I'm curious, have you managed to found the exact reason why some mods break things? What can be done on user's end to help the situation? P.S Seeing how the Arma 2:OA on Steam is a bit of a mess (unreliable A2 loading + very unorthodox way to include DLCs like PMC and BAF), I suggest for Bohemia to release a "Arma 2: Redux" or "Arma 2: Remastered edition" full game with all the contents under the same Steam ID. That would clear out so much version trouble. It should of course be free for A2:OA owners, like Wasteland 2: Director's Cut was for Wasteland 2 owners. Any thoughts on that? You could also clear some longstanding problems like Chopper gunner AI targeting (for missiles, see how tutorial is broken for example), and Shadow LODs on "very high setting" (that looks worse than in Arma: Combat Operations). how you loading the FDF mod(s) ? First I simply enabled it from game's main menu (under expansions button) which restarts the game with the new selection. Then I also tried the "-mod=fdfmod" parameter. Both give the same result (A2 content not loaded, random cfg error message and expansion list showing "ca" instead of Arma 2). The FDF still works with the stable branch. It also worked with the beta branch when I played FDF last year (2017). It's those A2:OA patches released this year (2018) that break the loading process. 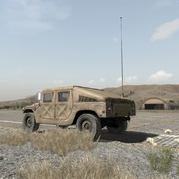 mklink /J "Addons" "..\Arma 2\Addons"
Update on the z-fighting bug. Managed to fix the terrain bug and 99% of the vegetation, as soon as the flares light is round a few meter from ground it seems to be working correctly which is strange but editing the lightpoint shape and editing the size fixes the issue, the edited script allows the flare to burn on the ground for a few mins also which is much better, for testing I drove around 300-400 meters from a cut out mission enemy camp schematic, waited for the Ai to fire a flare. Running into the flares light once it hits the ground is instant death. Now we can enjoy the nighttime, now one time the Ai were literally firing flare after flare it was outstanding, hid from the lights in some Takistan town, the flares had us surrounded, I couldn't see much with the NVG, all of a sudden some civ runs around the corner, alah Akbar! Gone. Jumped out of my bloody skin. Now that's an Arma experience. Bloody fantastic. vs with your fix ? I tried the "-beta=FDFmod" and it correctly loaded A2 content too. So it seems everything is working now! Maybe in a future patch the "-mod" parameter functionality needs to be overwritten by "-beta" parameter functionaliuty. Hello Dwarden thankyou for the reply much appreciated. Finally a response from a BIS Dev this is fantastic. Downloading a screen capture program and recording the comparisons. There's still z-fighting bugs with light sources from aircraft projectiles so it looks like the issue still persists. Also ran into a slight issue with enemies firing multiple flares, over ten at once and the light seems to multiply with each flare and with over ten flares lit it causes z-fighting bugs again. Looks like were reducing the flares light parameters once again. Regarding the 1.64 patch we don't use that particular patch as many mods break, but the z-fighting bug is on every Arma 2 patch so it doesn't matter which patch is used here. What the community needs is an addon which works with all Arma2 patch versions. We still don't know exactly where the dimming effect parameter is located for the flares lightpoint. Can you provide this information please as we can fix the issue with the flares at least. You can easily find this bug, just load up Takistan at nighttime, fire a flare, its easy. Many forum threads stating this issue and nothing been fixed in all the years. If you have actually worked on Arma2 which I don't know if you have but even so, if you have worked on Arma 2 you will know about this. I'll upload the videos and addon fix for you to analyze. Please consider fixing this game breaking issue. I just hope that the new update doesn't break the community mods. That would be a disappointment. After patch battle eye doesn't work and reads, "Failed to read initialization file." Files are exist, have correct owner and permissions. After this fix Arma now starts running itsself over and over again when trying to connect to a server and you get kicked from the server. Hm, ""Failed to read initialization file" happens to every steam user. The fix causes a loop, the game starts (no error) when loading a server it closes the game and relaunches it, over and over and over.